WHO KNEW THAT CREATING A WATERPROOF SHOWER COULD BE SO SIMPLE? Why choose the Übau Waterproof system? Designed by a professional tile setters and manufactured in Germany to the highest standard, the Übau shower base is easy to install, making it possible to create a completely waterproof tileable custom shower, with the least amount of headache. The system contains everything needed to create a tileable shower base- from presloped pans to wallboard, to extras like niches and benches, the only limit to your custom shower is your imagination! Presloped shower base, includes drain assembly for 2" ABS pipe. Includes drain grate, available in multiple colors. A waterproof tiling backer-board. Lightweight, strong and easy to install direct to studs. Available in multiple thickness. A waterproof, presloped curb, which can easily be cut to size at the jobsite. Available in multiple lengths. Waterproof soap niche, ready for tile. Available in multiple sizes. A free standing, wall mounted waterproof bench, ready for tile. By using the 2" thick waterproof panels, you can easily build your own custom sized bench. 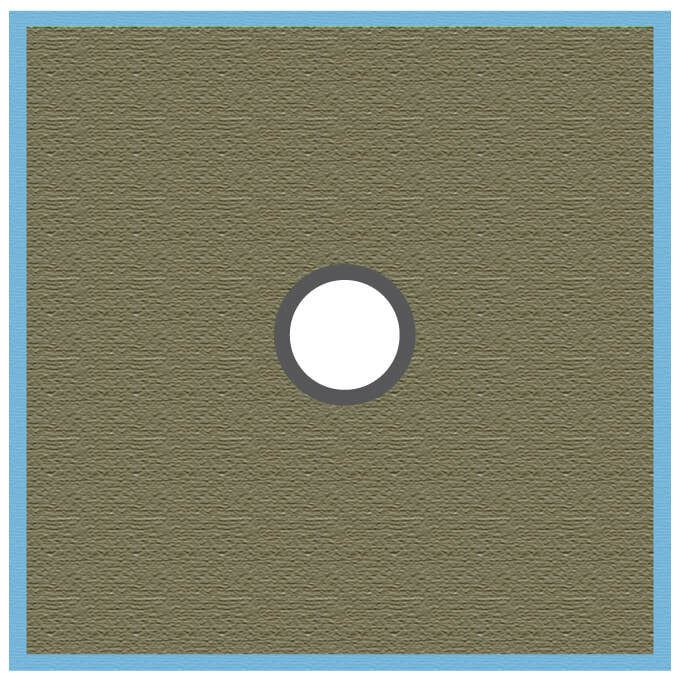 To properly fasten and waterproof Ubertile products, the Uberseal and XPS screw washer are necessary.